The Elite Etch from RKD Engineering is an Automated Mixed Acid Decapsulator that enables high productivity through the integration of advanced features. This new Decapsulator design rapidly and easily opens even the most delicate packages by delivering precise, micro aliquots of nitric, sulfuric, or mixes of these acids to the package with no sample damage. 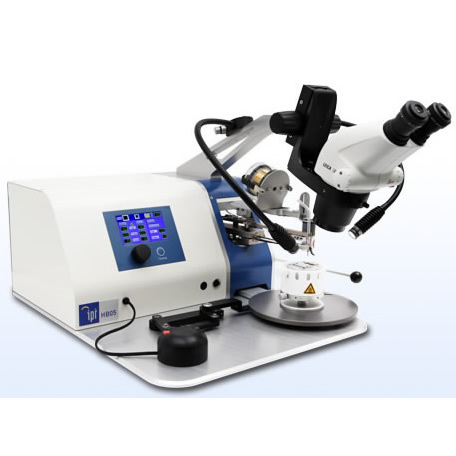 The RKD Elite Etch Acid Decapsulator incorporates many engineering innovations. A monolithic etch head assembly machined from premium grade silicon carbide is used for unsurpassed acid resistance. Coupled with an active nitrogen gas monitoring and purge system this monolithic design reduces the fuming of any residual acids left on the etch head after a decap process - a common problem with less sophisticated designs. Our choice of monolithic silicon carbide also enables short heat-up times. This is achieved by using a low thermal mass etch head design. Other manufacturers use high thermal mass designs and complex interchangeable components such as removable etch head inserts that are fraught with unreliable performance characteristics. Our simple, yet effective design greatly reduces cleaning and clogging of the etch head and its surrounding areas. The device hold down assembly (ram nose) is manually activated and is designed for a large amount of travel. The ram nose is normally retracted and only extends after the safety cover is fully closed. The vertical movement of the ram nose secures the device to the etch head thereby eliminating movement of either the package or its fixturing. The safety cover is closed and opened manually at the beginning and end of each etch process. Closing the safety cover starts the programmed etch sequence. Opening the safety cover will stop all etch processes. All acid line connections to the etch plate are made with radially symmetrical compression joints to eliminate troublesome high temperature seals.